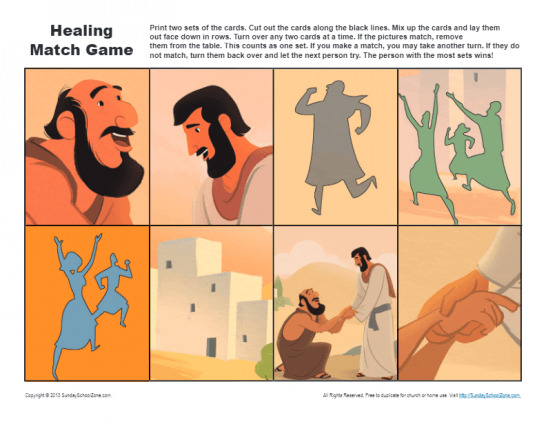 Playing a match game depecting elements of the story of Jesus’ healing the 10 healed lepers helps children see the need to express thanks to God. 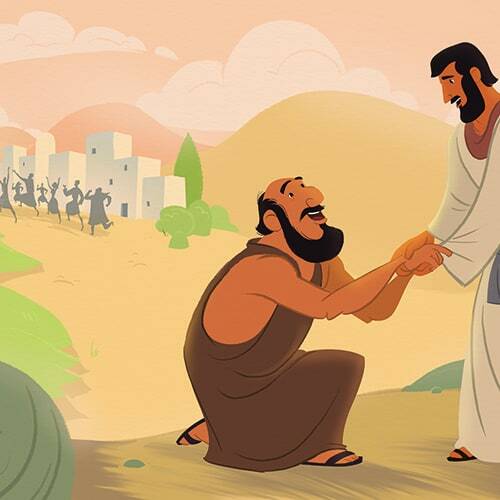 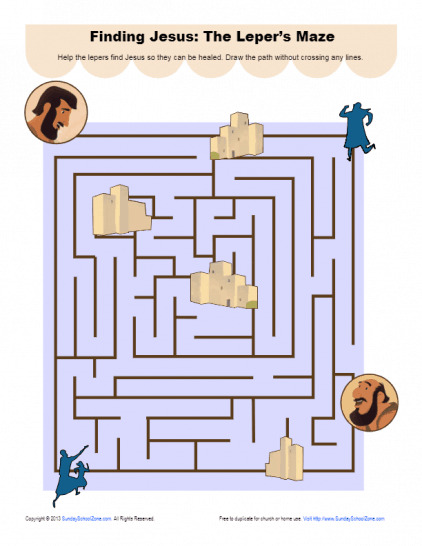 Finding the right path in a maze about the 10 lepers Jesus healed gives children a fun activity to do while learning about the importance of gratitude. 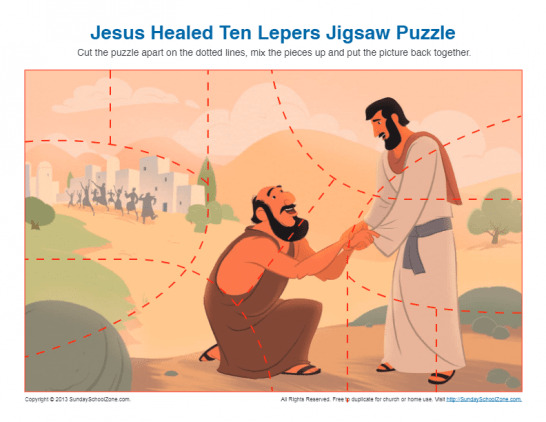 Working a jigsaw puzzle showing a grateful healed man thanking Jesus helps children understand the need to express thanks to God.